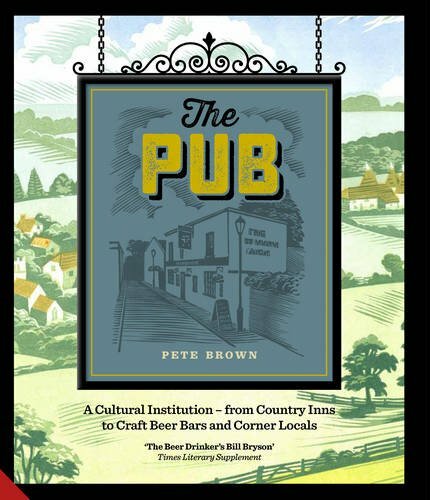 My new book on pubs spans the whole of the UK. So it only seems fair to take it back to the places where it was researched. Still need that elusive Christmas present for that difficult-to-buy-for person? Looking for an evening to kick off Christmas party season? I’m taking my new book (well, one of them) on tour. The Pub is a coffee table, illustrated book that celebrates the unique cultural institution of the British pub. But it’s more than that. The main reason most people choose a pub is because of its atmosphere, but atmosphere is very tricky to write about. I’ve given it the best shot I can. In these events, I’ll be reading a selection from the fifty short essays in the book that seek to evoke the atmosphere of the best pubs I came across – best in that respect anyway. These are not the best beer pubs or food pubs, nor the most historic or architecturally stunning (though many of them do score highly in these attributes.) They’re the pubs that feel special when you walk in, that feel like home, even if you can’t immediately figure out why. But it would get dull if I just read out lots of short essays. So I’ll also be illustrating my talk with a selection of the stunning photography from the book, giving you what I’m told is a fiendishly hard pub quiz to do, holding the Great Crisp Flavour Challenge, and contravening intellectual property rights with my travesty of Bullseye. 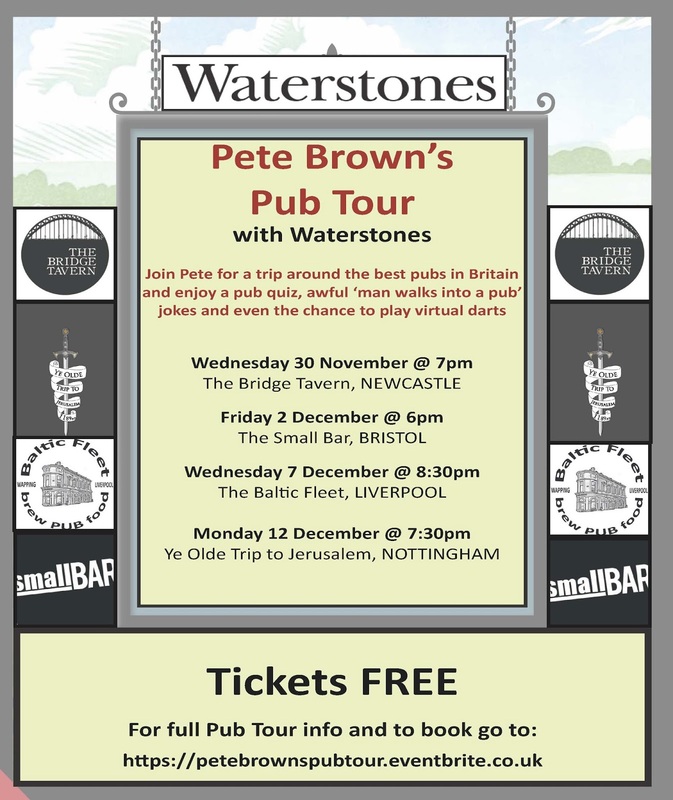 These events are in association with Waterstones, who will be selling books at the events, and each pub is, obviously, one that features in the book. Admission is free but tickets need to be booked in advance, and are available from eventbrite. I had such great times in these places while I was researching the book. Hoping to repeat the experience. See you there. Where were you while we were getting pie? Long Read: Burton IPA’s arrival in India.